Theoretical Biology Fellow Jason Bertram is a mathematical biologist focused on ecology and evolution. After receiving a bachelor’s degree in applied mathematics from the University of Cape Town in South Africa, Bertram earned a master’s degree in the physics of plasmas at Australian National University. While studying plasma, a population of charged particles, Bertram soon became fascinated by the collective behavior of populations of interacting organisms. He chose to focus his doctorate on the application of statistical mechanics to ecology, studying under Roderick Dewar. 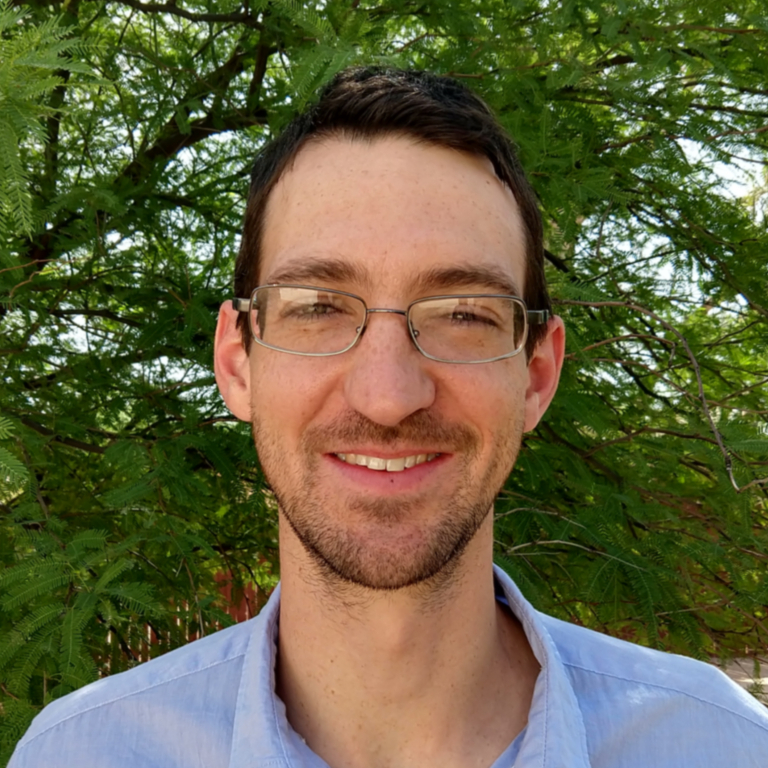 Bertram completed a postdoctoral appointment at the University of Arizona, where he initiated the evolutionary component of his research in Joanna Masel’s Lab. Preparing for environmental change requires an ability to anticipate all the various ways that ecosystems can be altered by new climate patterns. How quickly and by what means can organisms adapt? How do these species-level changes then contribute to further ecosystem shifts, which in turn further alter the environment? Mapping these processes and feedback loops is the focus of theoretical biologist Jason Bertram. Much as a theoretical physicist develops models for the physical forces at work in the universe, Bertram builds mathematical models to show how complex biological systems respond to, interact with, and change their environments. Such models can be used, for example, to help determine how to balance the benefits of antibiotic use with the risks of promoting antibiotic-resistant bacteria. Other applications include tracing the origins of invasive plant species in order to better control their spread and understanding the growth patterns of specific cancers to develop more effective and targeted treatments. As Bertram and other researchers work to determine how quickly organisms can evolve and what factors affect these abilities, it will become possible to predict whether a specific species will survive different types of environmental changes. A recent finding from Bertram’s research sheds some light on this topic, showing that extinctions that appear sudden can actually be the result of multiple, cumulative stresses rather than one catastrophic event. His continuing research on fruit flies also pinpoints some characteristics that make a species more able to withstand change, such as producing multiple rounds of offspring and undergoing season cycles of rapid population growth and collapse. A current area of interest for Bertram concerns how and to what extent human-caused environmental change differs from the continual shifts the Earth has always experienced. The planet and its ecosystems have never been in a steady state; species have always had to adapt to ensure survival, and extinctions are commonplace. However, the ways that humans affect the environment are different from the Earth’s own geological and climatological processes – for example, in addition to the larger-scale impacts of fossil fuel emissions, pollution, and deforestation, humans make uniquely targeted changes such as building roads, introducing invasive plant species, or driving specific animals out of their habitats. It is not yet clear exactly what such differences mean for environmental change as there are no precedents for comparison in the geological record. Rather than looking backward to find answers, Bertram instead aims to build quantitative models based on the core principles underlying evolutionary adaptation and ecological relationships among species to predict how the future may look for Indiana.